You are currently browsing the SafeSourcing Blog blog archives for January, 2015. As a Procurement Pro, how much legwork do you really need to do when sourcing products and services? Let’s assume you are procurement professional for a company that is ready to find a better product or service solution for your company’s needs. This is when the legwork begins. So how much legwork is necessary to get the results you need? There are many factors that should be researched and investigated in order to make a value based decision for your company. Below are some guidelines you should consider as a necessary legwork. 1. Market Trends– Trends are what allow traders and investors to capture profits. Whether on a short- or long-term time frame, in an overall trending market or a ranging environment, the flow from one price to another is what creates profits and losses. This is something that procurement professionals should keep an eye on so when the time comes they are armed with as much information as possible in order to make the best decision for their company. 2. Pricing Trends– Understanding where the market is headed and why will allow you to make better decisions regarding long / short term contract purchases vs. potential spot buys as well as the need for possible price review intermittently. The current price may be desirable but understanding the trend will allow for better decisions. Awareness and connection to the industry can only help when you are ready to act but more importantly develop a solid long term strategy. 3. Hurdles– Think about people running in a foot race. They are running, and then they see something that blocks their way. They can stop running OR they can jump or go around the obstacle in the road and keep running. Think about work the same way. You worked hard to find the right supplier, cost and service. Now there are unforeseen problems that could result in additional costs or expenditures. Building in contingencies will avoid such issues. 4. Product Content – This is referring to the materials that are required to produce a product or support a service in order to meet necessary standards or specifications. This will affect the price of the product or service you want to purchase. Companies may also have specific guidelines regarding environmental impact or safety standards. Awarding business to a vendor that also has “green” initiatives in place that support your companies CSR initiatives can foster good will internally as well as in the community you serve while also improving your company’s image as a pay it forward workplace. We sometimes want to blurt out a response that is number oriented because ours is the largest and most diverse retail supplier database. However we end up holding back in order to better understand the question that is really being asked. The discussion normally evolves along the line of quality and what data we have available in the database in order to make high quality supplier selections. Although reduction in cost may in fact be the ultimate goal, it in fact may not be the end point after the necessary due diligence required to pick the right supplier or suppliers. How your e-procurement solutions provider addresses these questions is also key. Is it time to replace that old thermostat? Today?s post is by Troy Lowe; Vice President of Development at SafeSourcing. With winter upon us it may be time to consider ways to improve the efficiency of your HVAC (heating, ventilation and air conditioning) unit.? Studies show that heating and cooling account for about half of the energy use in a typical U.S. home.? One thing you can do to lower this expense is to replace your current thermostat with a smart thermostat.? There are several different types of thermostats available.? There are programmable thermostats which allow you to set different temperatures for different times of the day and smart thermostats which program themselves by learning from your behavior and your desired temperatures for certain days and times throughout the week.? Smart thermostats can also be controlled remotely allowing you to change temperatures miles from home.? Changing to one of these types of devices can save you approximately 20% on your heating and cooling.? Below are some benefits of a smart thermostat. At SafeSourcing, we can gather all the necessary information for you and help you decide what thermostat fits your needs.? If you would like more information on how SafeSourcing can help you, please contact a SafeSourcing Customer Service representative.? We have an entire team ready to assist you today. So we have all heard it before, but the definition of insanity is ?doing the same thing over and over and expecting different results? ? Albert Einstein. Today?s blog was written by Shelly Hayre, CFT Manager at SafeSourcing Inc.. I see category managers strategizing on a project with creativity in mind, but sometimes change is not perceived well and the strategy starts to form the same as it did years ago. The only difference is everyone wants better results. I believe it is the procurement leaders? role to push for creative and thinking outside of the box. Easier said than done with some. 1.? Coaching ? coaching the team on how to develop a creative idea and what this may look like. Bring outside support in to help the team think outside the box. Not everyone is creative, and a new perspective can help with this. 2.? Utilizing Creative Thinkers– When bringing in outside help, make sure the individual has the creative ability to assist the team. Having a team that is designated to working complex projects that need special attention and focus on the breakthrough idea. 3.? 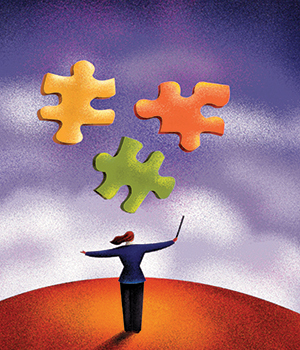 Have a Scoring System– What defines creativity? What does that look like? Dedicating a leader to provide this picture and process of creative ideas. Like I?indicated earlier, not everyone is creative, a leader will need to show them what this looks like and guide them to a path where they will receive feedback on their creativity.
? ?What is the overall goal of the project?
? ?What are we doing today that costs us resources (money, time, management, etc.)?
? ?What does the market look like today? What does it look like compared to last time it ran?
? ?What new trends affect the market?
? ?How can you leverage index pricing to be beneficial for you and the supplier?
? ?What other categories can you include to leverage better pricing?
? ?How will you compare suppliers pricing? How will you know you are offered fair and best pricing? If you reach out SafeSourcing can be your creative team. We have a new way to see on categories and have experience running various categories in different fashions. We will find the best and creative way to execute a procurement project that brings greater results.
? ?Innovation and creative thinking, including; new products and new markets. 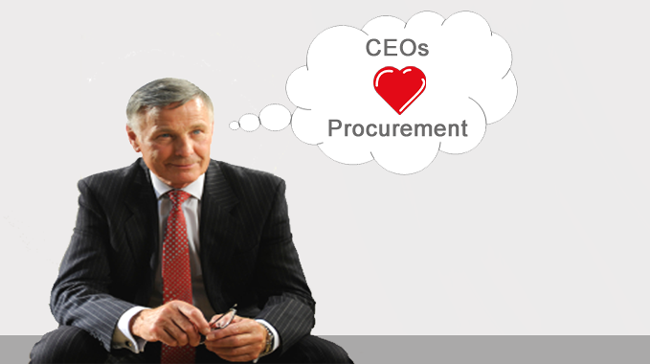 We hope you have enjoyed the series on why we love procurement & Supply Chain Management and that you too will love each! While traditionally procurement was traditionally seen as stand-offish and confrontational, best in class is highly collaborative in style. That means it engages with managers from all across the organization. While it may have the authority to tell people what to do and to enforce compliance with procurement rules and procedures, it uses its power carefully, seeking to collaborate rather than control. Its role includes evangelizing a better approach to all aspects of procurement, from sourcing to supplier management. It does not necessarily seek to wrestle the decision away from the front line manager, but rather to support the manager in the decision making process. Because procurement is increasingly cross-functional in nature, it draws its team from all disciplines and backgrounds. It may second an engineer from R&D to head up a sourcing project for the components required for a new product, or hire an ex supply industry salesperson to manage and negotiate with suppliers from that same industry. Stay tuned tomorrow for Part 7. Orchestrating a supply chain that span different continents and integrate 1,000s of diverse sectors, from primary subcontractors, to the suppliers of the smallest components or parts, entail great complexity and challenge. ???? (a)? The demand for more rapid innovation, including new products with rapid time to market and shorter product lifecycles. (c) Legal compliance, from product traceability of certain goods, to diverse trade, employment and other regulations across the variety of international markets. It requires thinking globally while complying locally. Stay tuned tomorrow for Part 6. Reason 3: It is strategic! The CPO increasingly has the ear of the CEO and CFO ? it has direct access to power. That is because few managers have the potential to impact on the bottom line in the way that the head of procurement/supply management can. As every MBA (and indeed every salesperson) knows; the way to improve the bottom line in a time of low growth is to cut costs, slim line production and drive efficiencies generally. This is something that procurement and supply chain managers have done very well. At conferences procurement managers proudly boast of savings of millions delivered from procurement initiatives, with savings of 15-35% regularly being quoted. However, its impact on business performance goes well beyond cost savings. Supply chain management is strategic because it matters to the longer term performance of the business. It will be called upon to support the implementation of almost any strategic initiative within the business and not just those that involve procurement. Stay tuned tomorrow for Part 4. The most exciting companies of the past decade ? Apple, Dell and Amazon to name just a few ? have all had supply chain management at their core. Indeed, they could not have succeeded without it. Supply management is the new and perhaps ultimate source of competitive advantage for modern business. It is at the core of new business models ? from manufacturing in low cost economies to selling across the web. Today?s global industry leaders, such as Apple or Dell, make up in market capitalization what they lack in bricks and mortar. They own few factories, warehouses, or trucks. These have been replaced by a global supply chain that can produce at low cost and yet meet stringent quality standards, respond swiftly to peaks or troughs in demand and take new products from concept to reality in rapid time. Production engineering is no longer the source of competitive advantage. It does not matter who owns the factory or where it is located. It is time to move over Demming ? Total Quality Management has been superseded by Supply Chain Management. It is no longer about production engineering, but re-engineering of the very shape and structure of the organization. 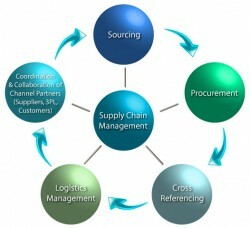 The value chain of modern business is the supply chain and that makes supply chain management the place to be. Stay tuned tomorrow for Part 3.